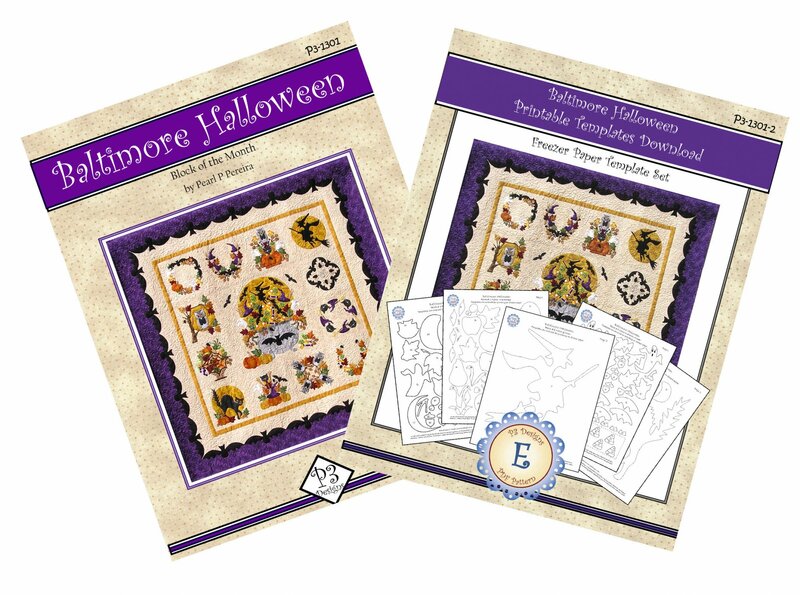 Baltimore Halloween 20” center Medallion block is surrounded by twelve 12” album style blocks, and then things got a little spooky, as ghost, owls, bats, pumpkins, candy and witches filled my drawing board when designing this fun quilt. Plus the Printable Template PDF Download. This companion download PDF contains 29 page document with the already mirror imaged separated applique shapes ready for printing on Ultimate Applique Template paper, other printable freezer paper sheets or Fusible web sheets. Pattern will shipped and the Printable Template PDF can be downloaded instantly after your purchase is completed. Check your email for the automatic invoice with the PDF download Link. If you do not see the email check your Junk or Spam mail folders.